Note: You can enter this giveaway one (1) time per e-mail address per day. Deadline is 11:59PM ET 3.5.19. 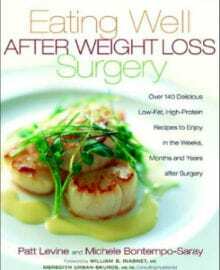 We all need to eat well and eating well after surgery can be a challenge. That challenge is easy to manage when you have fantastic list of recipes and guidelines to help you through. This cookbook is filled with enticing recipes that are high in protein, low fat and have no added sugar. The recipes are also perfect for the whole family and each page has recommendations for post op servings. So no matter what stage your at you and your family will be able to enjoy meals together. Healthy chicken burrito bowls are loaded with all the good stuff and very versatile, so you can make them anytime for anyone with just a little of this and a little of that. NO PURCHASE NECESSARY TO ENTER OR WIN. Void where prohibited by law. Open to legal residents of the 50 U.S., D.C. and Canada (excluding Quebec) who are at least eighteen years old at the time of entry and have internet access. Begins on 2.12.19 at 12:00 a.m. ET and ends on 3.5.19 at 11:59 p.m. ET. To enter this giveaway, submit your full name and email address on this form. Odds of winning this giveaway depend on the total number of eligible entries received. Only one (1) entry per email address per day. Sponsored by Leite’s Culinaria, Inc. For more information, visit our Official Rules. For a list of winners, check out our Very Happy Winners page. Be sure to add giveaways@leitesculinaria.com to ensure notification if you are the winner.